While speaking to a group of women participating in the Shivanga Sadhana, Sadhguru discusses the significance of completing such periods of sadhana. He describes sadhana as a tool to rise and to ride the surf of life. Though the sadhana may seem simple, he says, if you give yourself completely, the results can be miraculous. Shivanga Sadhana for women is a 21-day period of sadhana where women can experience the Grace of Linga Bhairavi. The upcoming dates for this sadhana are Dec 31, 2018 - Jan 21, 2019. 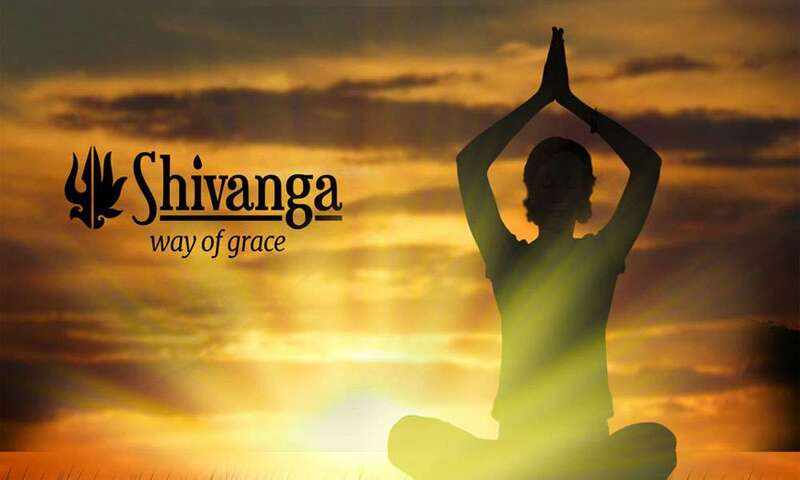 Shivanga Sadhana for men is a 42-day period of sadhana that enhances one’s receptivity to the energies of Dhyanalinga. The upcoming date for this sadhana is Jan 20, 2019. Sadhguru: Many of you are going to start the 21-day sadhana till Dhanya Pournami, which is generally known as Thaipoosam in Tamil Nadu. The significance of such periods of sadhana is unfortunately being lost in so-called modern societies. Today, it is only the uneducated and the rural people who do these sadhanas. Once you become educated, you are not supposed to do anything right. You are supposed to be confused about everything! The significance of a sadhana period like this is to bring an organic intelligence to your system. The moment you get educated, you are supposed to get confused about all the most basic aspects that human beings have been doing for thousands of years – about your body, your mind, your relationships, the world around you – about everything. That is the quality of the educated. So we can imagine the quality of education that we are rendering to the world. Education is no longer about making human beings, it is creating scattered human beings. They feel they are superior to everyone, but they are confused about every little thing. They do not know what an illiterate peasant knows, but they think are superior. They are definitely a superior level of confusion. The significance of a sadhana period like this is to bring an organic intelligence to your system, a different dimension of intelligence which makes life effortless. You do not imagine that creation is a problem that you have to solve. Creation is not a problem. Creation is a tremendous phenomenon. You can either ride it, or you can be crushed by it. The choice is yours. If you ride it, it is a phenomenon beyond anyone’s imagination. If you are crushed by it, it is a horrible thing. Life is a horrible thing for those who are being crushed and ground by it, but it is a phenomenal thing for those who ride the wave of life. Recently, I was watching a video of the longest surf ride. These waves could crush people to death, but for the one who rides it with just a simple piece of plastic or wood, the joy of it is different. The same thing goes for life as a whole – if you ride it, it is such a fabulous phenomenon. Otherwise you cannot fathom the depth of one’s suffering. The word “sadhana” literally means a tool or an instrument. If you do not have the right kind of tools, every simple thing will become a problem. Sadhana is a tool to rise, to be able to ride the surf of life. The word “sadhana” literally means a tool or an instrument. If you do not have the right kind of tools, every simple thing will become a problem. I was in an international airport recently, and there was a young woman there. She was sitting in the center of the hallway, not on a chair but on her bag. Thousands of people were walking up and down, everyone with their trolley – someone rushing to the airplane, someone getting off and coming – but she was undisturbed by all this. She was sitting there with a small mirror and a little tweezer and plucking her eyebrows very efficiently. I thought her level of focus was quite something. The important thing was the tiny little tool that she had. It was a little forceps that she was so efficiently using in the middle of a hallway in an airport, where thousands of people are moving – undisturbed and pulling it off. Whoever innovates these tiny little instruments, hats off to them! From the smallest level of instrument to the highest, it is the level of focus and involvement that makes the instrument effective. Of course, the design of the instrument is important, but still, with this tweezer, with so many people going around, you could poke your eyeballs out. It is a tiny little sharp thing. The level of involvement is very important. It is all a question of how much it matters to you – not your eyebrows. I mean your spiritual process. If you grow a third eye, there is one more to be tweezed! But it usually does not grow a brow, just the eye! The sadhana is structured in such a way that the maximum results happen with minimum effort. Sadhana is like an eyebrow tweezer – if you apply it meticulously, it works well. Otherwise you can poke your eyeballs with it. That is not the purpose for which it is created. It is the meticulous way in which you go about it and the level of involvement and focus in it that will bring results. The tool is important, but how you use it is most important. If I ask you to tighten something with a screwdriver, and you put the wrong end in, all you will do is poke yourself. Do not be fooled by the simplicity. If you give yourself absolutely, it [sadhana] produces results that you cannot imagine possible. In the surfing video, I was watching this young boy floating on the surf endlessly – each time you thought it is going to end, it does not. He goes more and more, with just a piece of plastic. You have seen all the things we can do with a frisbee. Just a piece of plastic, but it can keep your life going if you know how to use it. This sadhana is just like that. It is very simple. We could make it more complex, but if we make it very sophisticated and complex, a lot of people cannot understand what the hell it is all about. Do not be fooled by the simplicity. If you give yourself absolutely, it produces results that you cannot imagine possible. That is all it takes with life because we do not have to create it – it is already there. We just have to make it function smoothly and efficiently at its highest possible level. If you had to make life, that would be a different kind of challenge. Everything is there. You just have to position it right. That is all. And that will happen with the sadhana. This sadhana is intentionally structured in such a way that some of it appeals to you and some of it does not. What does not break you or bend you, that is what you are comfortable with. But what you do not like is most important. If you are doing what you like with hundred percent involvement, then you must do what you do not like with two hundred percent involvement. The sadhana is such that you understand the instruments of body, mind, speech, hearing, seeing. Are you eating the neem ball in the mornings? Maybe you are throwing it in the back of the throat and drinking water over it. No, you must put it in your mouth and chew it. Instead of a neem ball, we could provide you a rasgulla. But you can eat a rasgulla with complete unawareness. If we give you a heap of rasgulla, after some time, you do not even know how many you have eaten. But will you ever forget how many neem balls you ate? If somebody says, “You ate only two neem balls”, you will say, “No, I ate three!” Neem is very beneficial, but above all, things that you do not like make you very alert to life. Your likes and dislikes are just a question of thought. You can think, “I like this person.” The next moment, you can think, “I hate this person.” You are allowed that freedom. If you think, “I like this person,” it will be true. If you think, “I don’t like this person,” that will also be true for you. After all, it is your thought – at least you must be able to think pleasantly. If even in your thought you are unpleasant, then you have found employment in hell. You have no present, but you have a future because you have a job waiting for you. I am sure the HR department in hell will recruit you because you are such an expert in torturing yourself that you should do very well in torturing other people! The sadhana is such that you understand the instruments of body, mind, speech, hearing, seeing. All these are your instruments. How you learn to use them is your business. You can use them towards your wellbeing, or you can use them to make yourself into a private hell of your own. At least your hell, do it privately – do not make it public. During this sadhana, every breath, every step, every heartbeat should be on and on. That is when you know how significant simple things can be, and what great things these simple things can do. Such simple things have done miraculous things. It is the atoms that built the whole cosmos. They are so insignificant that you cannot even see them in a microscope. We could have ignored them, but they made the planet, the universe and everything. So do not ignore those simple things. It is only because those simple things have been ignored that life has become complex. If you had taken care of those simple things, life would be wonderful. During this sadhana, every breath, every step, every heartbeat should be on and on. How to sit, how to stand, how to breathe – bring these simple things into your life. Life will become a graceful process, not an aberration. That is what the sadhana is about. The only aspiration in your life should be you must do your life in the highest possible way – whatever you see as the highest, at least to that level, it must happen. Otherwise it is a worthless life. You do not have to do what I see as the highest. But at least what you see as the highest must happen. If you do not aspire for what you hold as the highest, that is a wasted life. Do not be a wasted life because the most precious thing about life is life itself – not the diamonds, the property or the money. Will you get this now or will you get it on your deathbed when you are taking your last breath? You will anyway get it one day. I think today is a good day. 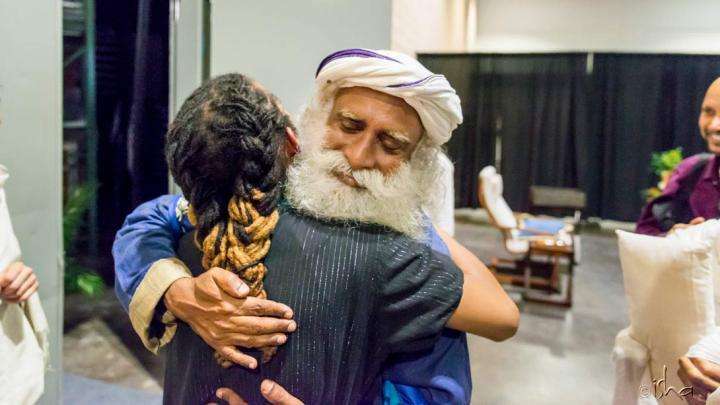 Editor’s Note: Learn more about Shivanga Sadhana, powerful sadhana designed by Sadhguru for men and women. Shivanga Sadhana for women is a 21-day period (Dec 31 2018 - Jan 21, 2019) of sadhana where women can experience the Grace of Linga Bhairavi. Shivanga Sadhana for men is a 42-day period (Jan 20 - March 4, 2019) of sadhana that enhances one’s receptivity to the energies of Dhyanalinga. The Mahashivratri sadhana is a preparation for Mahashivratri – a night of tremendous possibilities. 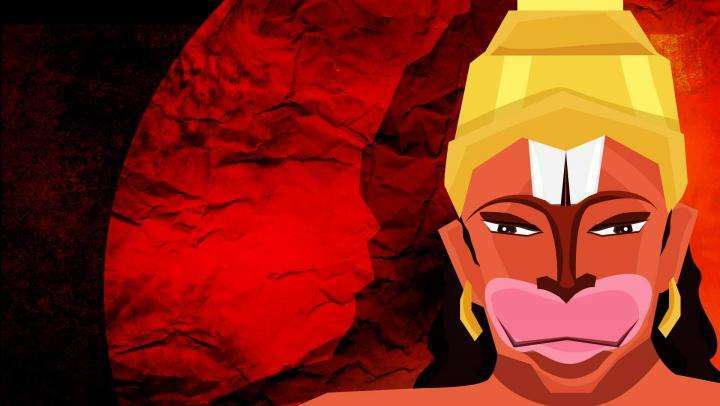 Ishtadevata - Reality or Hallucination? Sadhguru looks at Ishtadevatas, a god of your choice that can be powerful tools to becoming the source of the Divine. 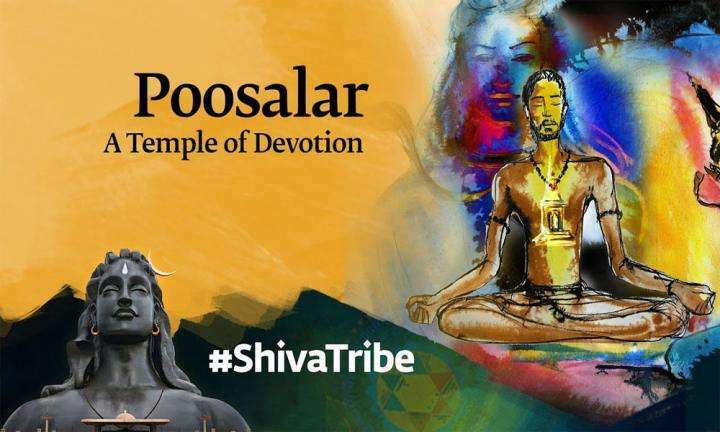 Sadhguru speaks about Poosalar, a mystic and devotee of Shiva who lived most of his life in poverty.